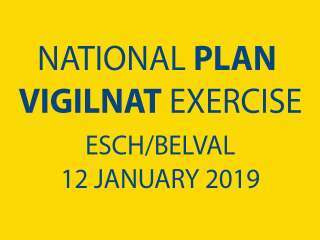 On Saturday, January 12, 2019, the police and the rescue services will participate in a national anti-terrorist exercise on the site Belval and more specifically in and around the Rockhal and Esch / Belval and at the Emile Mayrisch Hospital Center (CHEM). 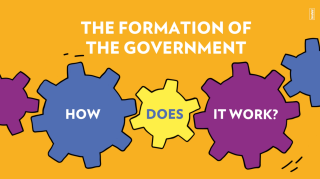 In line with the governments new internet portal, launched and presented in February 2018, animated videos have been produced to put into evidence, through audiovisual elements, certain aspects of the Luxembourgish political system. The National Day of Remembrance is dedicated to the memory of the efforts made by the people of Luxembourg during the Occupation from 1940 to 1945. Several ceremonies were held in Luxembourg on October 7, 2018 to mark the occasion. 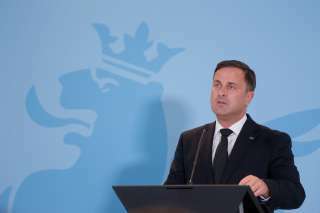 The 14th of March 2018, Prime minister Xavier Bettel had a meeting with his British counterpart, Theresa May, at 10 Downing Street. The two prime ministers discussed bilateral relations between the two countries, as well as European and international politics. 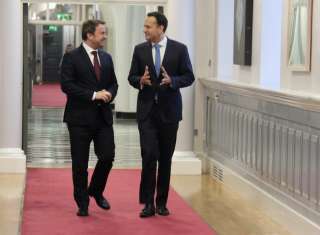 Prime Minister Xavier Bettel traveled for a working visit to Dublin, Ireland, on March 5, 2018. Today, 5th of March 2018, the Prime Minister had a meeting with the Irish Prime Minister Leo Varadkar. The counterparts discussed about the bilateral relations between the two countries, but also about the future of the European Union and particularly Brexit. The www.gouvernement.lu portal unveils a new design, available in four language versions: French, German, English and Luxembourgish.